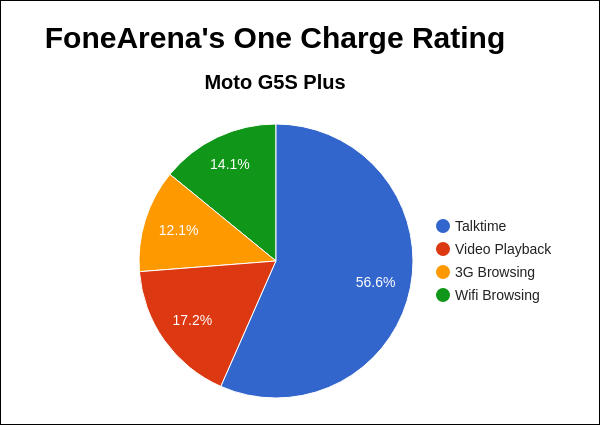 Moto launched the Moto G5S Plus smartphone in India back in August for Rs. 15999. 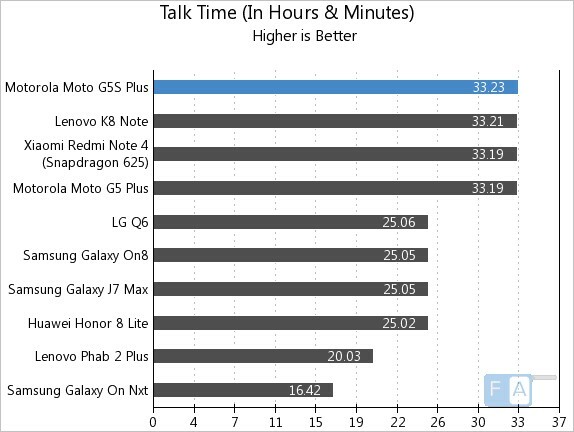 We already brought you the review of the phone, here we have the battery life test results of the phone. 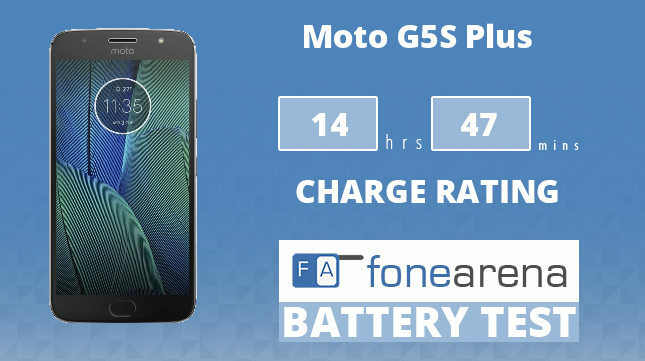 It packs a 3000mAh built-in battery with support for Turbo Charging, similar to the G5 Plus. It has a 5.5-inch 1080p display, is powered by Snapdragon 625 Mobile Platform, has 4GB of RAM and runs on Android 7.1 (Nougat). Check out the test results. It lasted for 33 hours and 23 minutes in our talk time test. 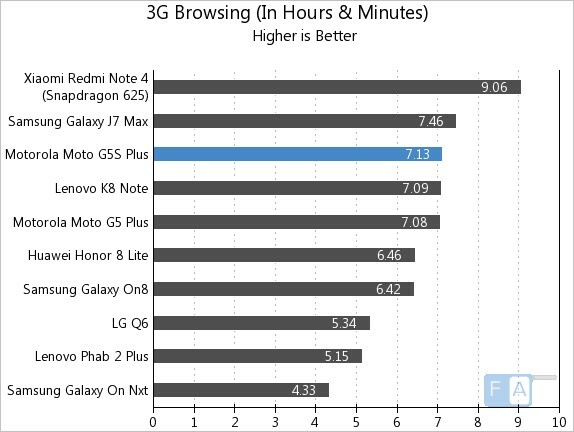 It lasted for 7 hours and 13 minutes in our 3G browsing test. 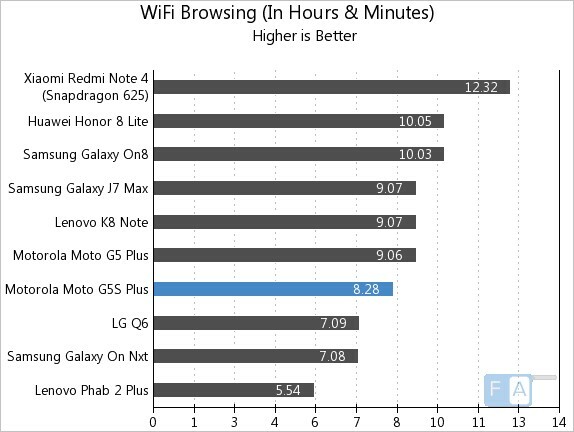 It lasted for 8 hours and 28 minutes in our WiFi Browsing test. 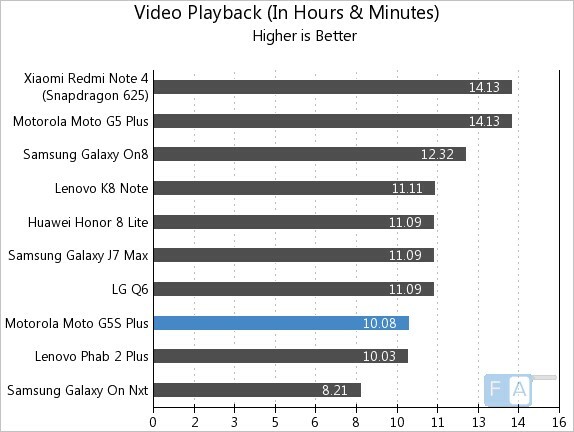 It lasted for 10 hours and 8 minutes in our Video Playback test. 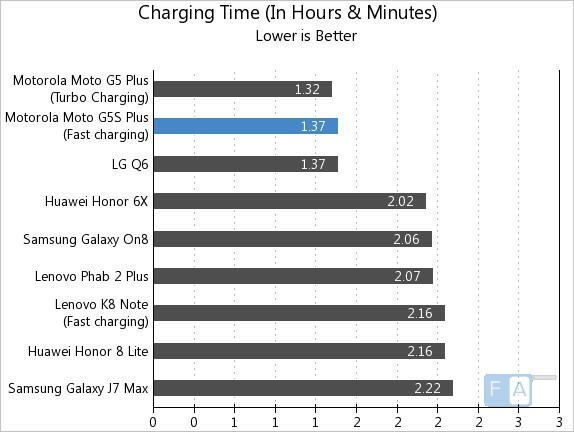 It took 1 hour and 37 minutes to charge the phone from 0 to 100% and it took just 33 minutes to charge from 0 to 50%, thanks to the fast charging technology and bundled turbo charger. It lasted for 49 days in our standby test. It achieved a One Charge Rating of 14 hours and 47 minutes, mainly due to talk time, but this is decent for a phone with a 3000mAh battery. 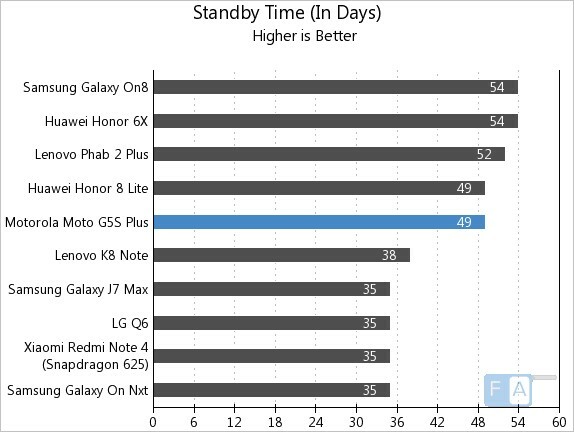 It couldn’t beat the Moto G5 Plus that has a slightly better One Charge Rating of 15 hours and 51 minutes. Check out our battery life test procedure, to know more about our tests in detail.